Life can be hard for urban dogs. No yard, constant noise, sprawling sidewalks and asphalt. 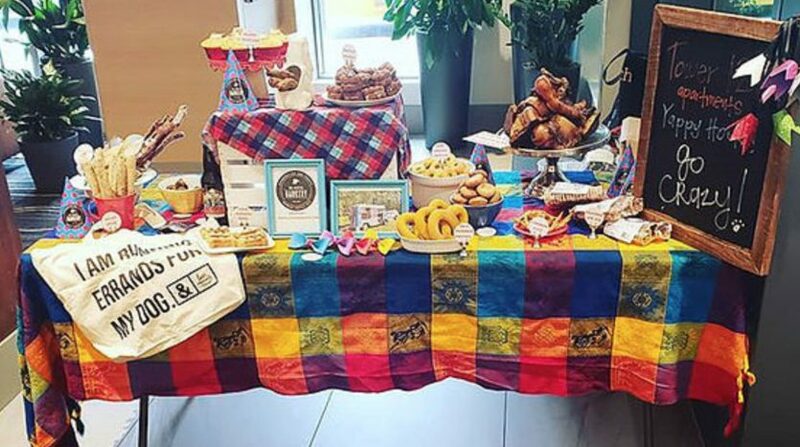 But the one-of-kind Seattle Barkery is making things better for Seattle’s canines. Where else Seattle can a city-dwelling dog go to a food truck? 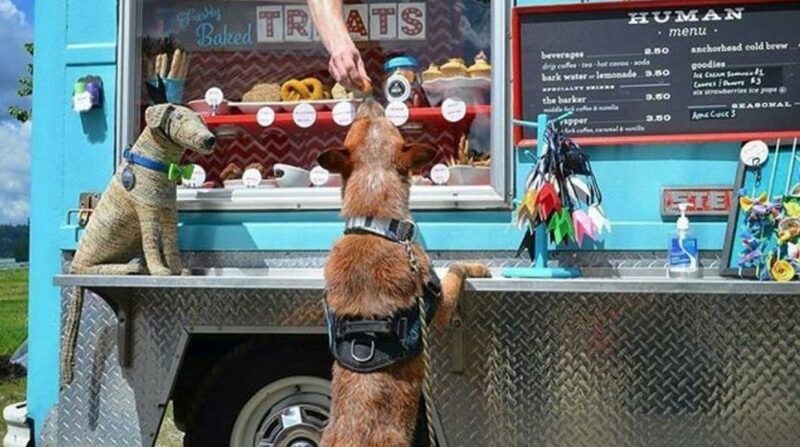 Where else can any dog go to a food truck? 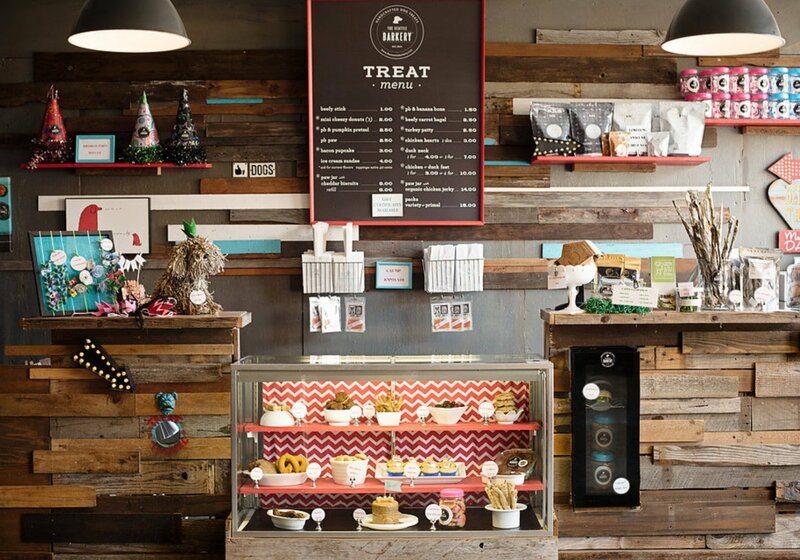 The Seattle Barkery offers a human-food menu, too, but it’s clearly less important. 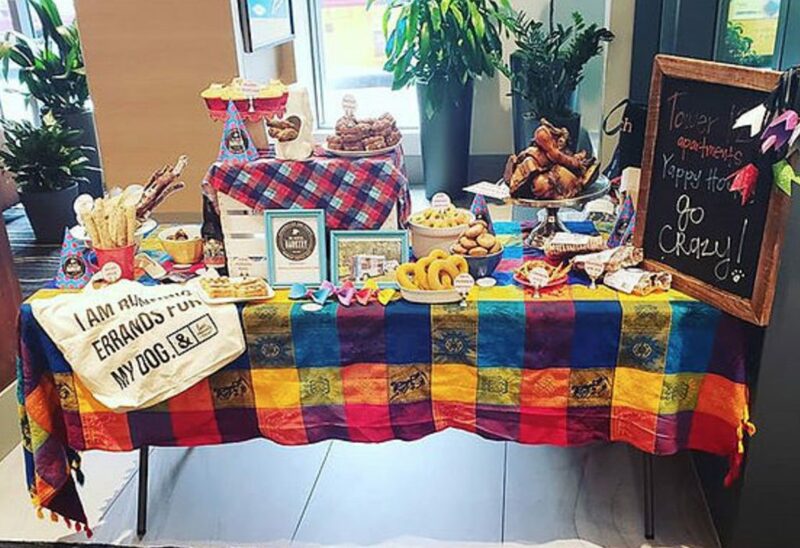 Offerings for people are about half as numerous as those for dogs, and they’re of the coffee and pastries variety. 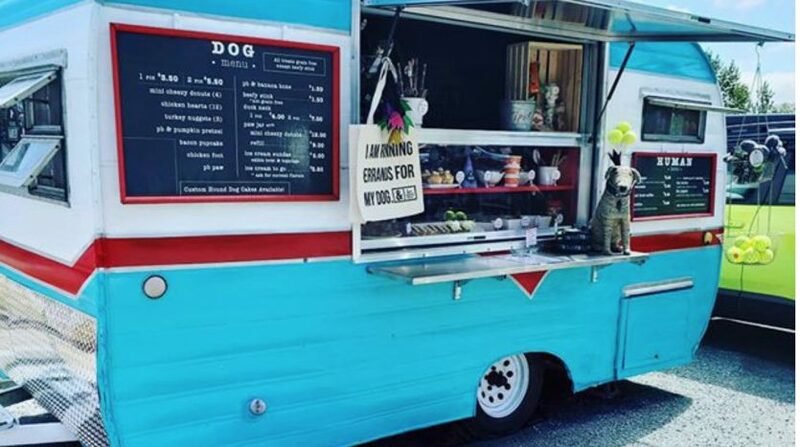 This isn’t a food truck that allows dogs—it’s literally a food truck for dogs. 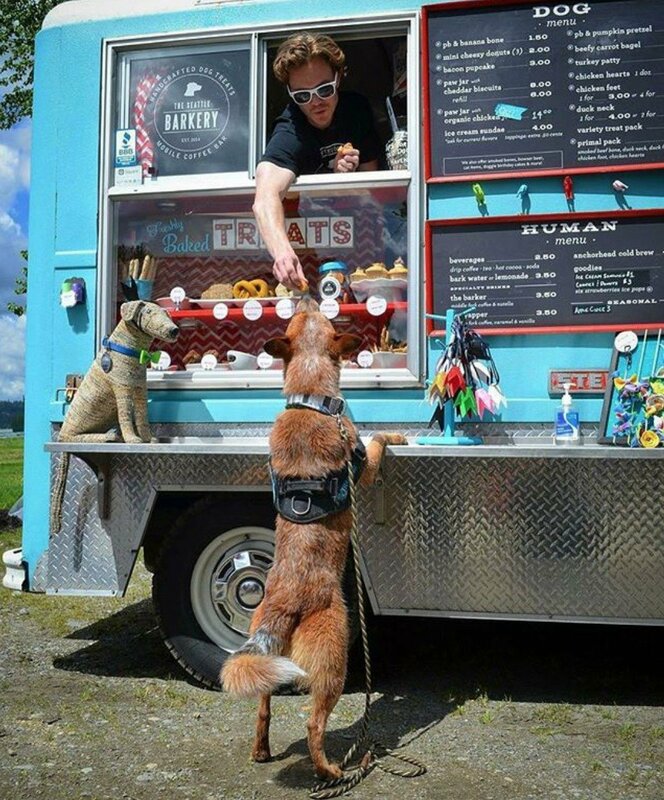 Hammy feeds dogs and people Tuesday to Sunday (9 a.m.–6 p.m.) at the Magnuson off-leash park (7400 Sand Point Way NE). Buster is a 1968 Chevy Step Van that once worked for the Seattle school district in the 70’s. 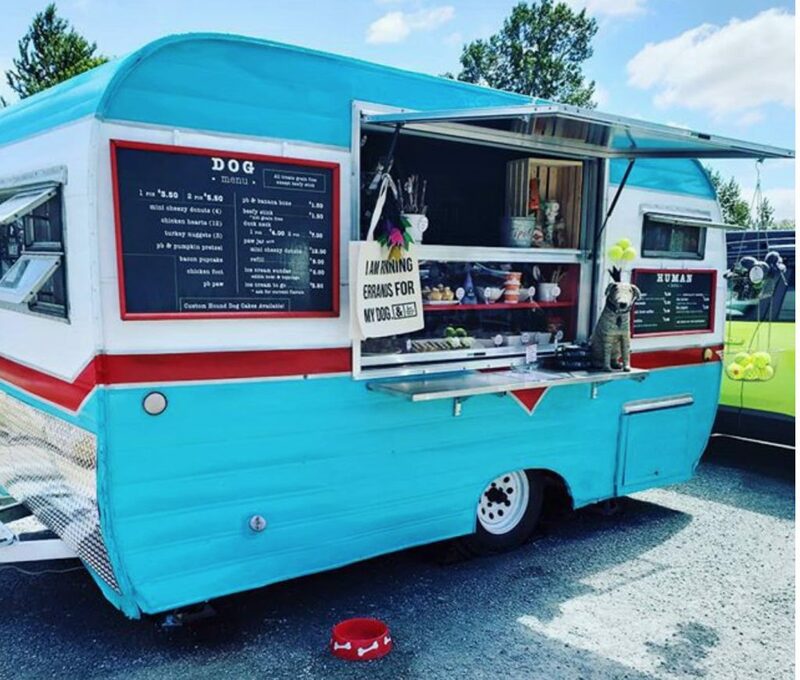 With three gears and a top speed of 55 mph, he cruises to local dog parks, dog friendly breweries, as well as many Seattle events and Farmers Markets. He will pretty much go wherever the dogs are! Here’s a schedule of Buster’s appearances. 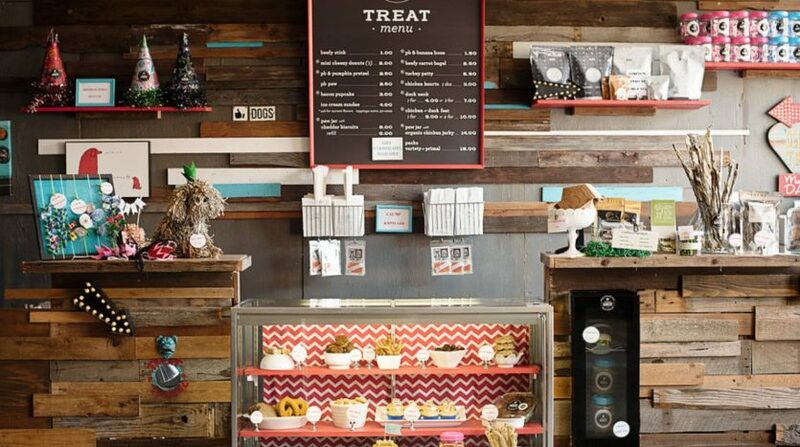 The Treat Bar in Dogwood Play Park (12568 33rd Ave NE) provides fresh treats every day of the week (4 p.m.–10 p.m. Monday–Friday, noon–8 p.m. Saturday & Sunday). Dogwood Play Park is Seattle’s first indoor/outdoor off-leash dog park and bar and deserves special mention in its own right. You can drink a beer, play with your dog, and meet new people all at the same time! Apartment-bound dogs rejoice—you really can go to heaven! 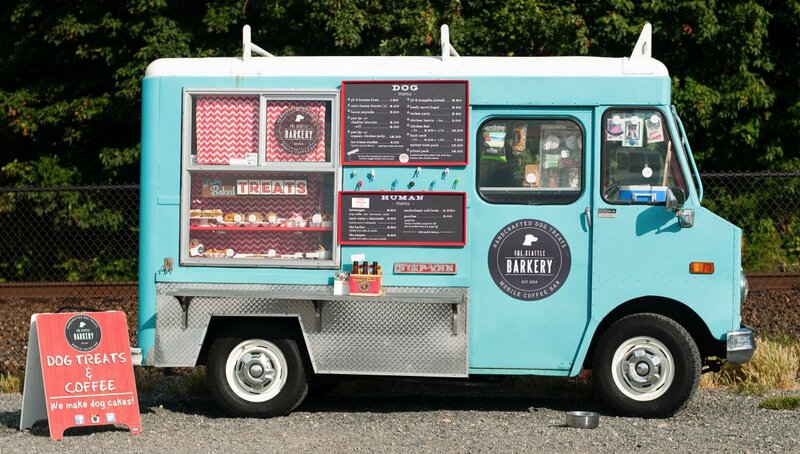 As if two food trucks and a Treat Bar weren’t enough the Seattle Barkery also hosts a table that pops up now and then throughout the city. It most often appears at apartment complexes and pet-related businesses. Here’s a schedule of the table’s upcoming locations. You can follow The Seattle Barkery on Facebook, Twitter, and Instagram.